Family Tree USA - 05/06 2019 » Download PDF magazines - Magazines Commumity! 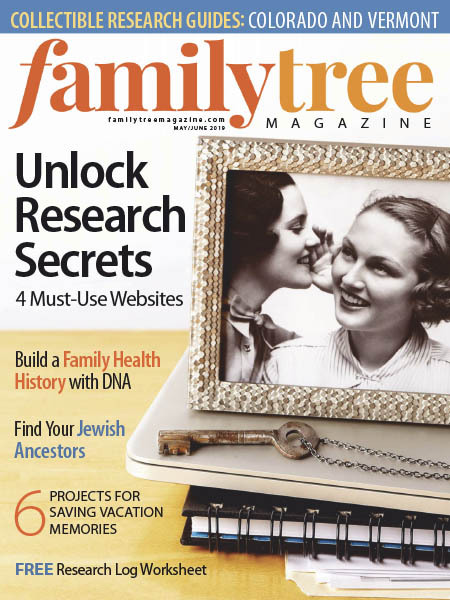 Family Tree Magazine is America's favorite genealogy how-to magazine, providing easy-to-follow instruction to help you discover, preserve and celebrate your family history. Topics include finding ancestors' vital, census, military, immigration and other records; online genealogy; visiting libraries and archives; researching records of ancestral homelands; tracing ethnic roots; identifying old photographs; sharing family history through writing and other projects; preserving photos and heirlooms; planning family reunions; historical travel; and more.